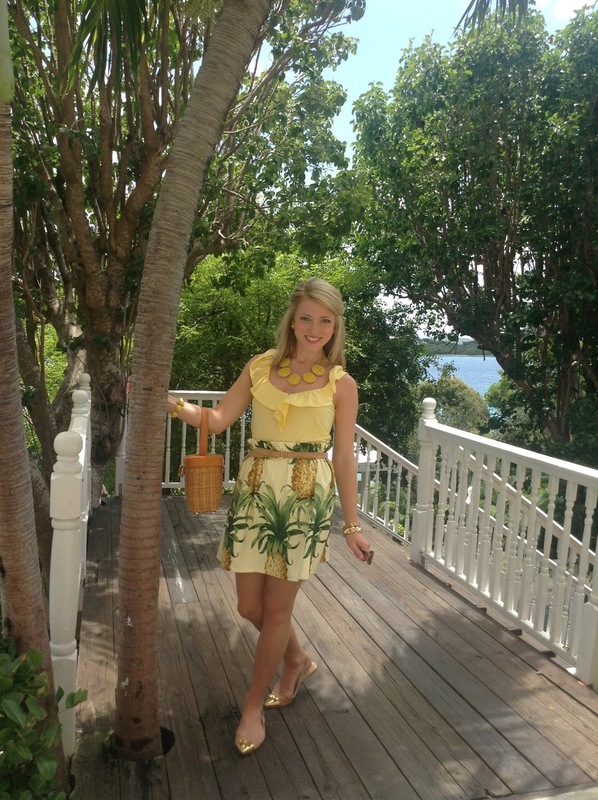 Along with my obsession for anchors, lobsters, bows, and more, I now have a love for pineapples. 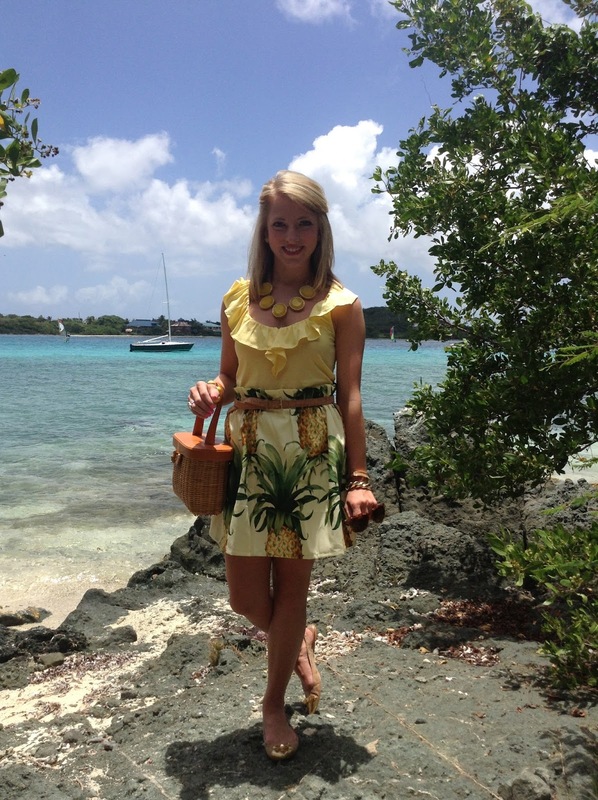 J.Crew came out with several darling pineapple pieces. 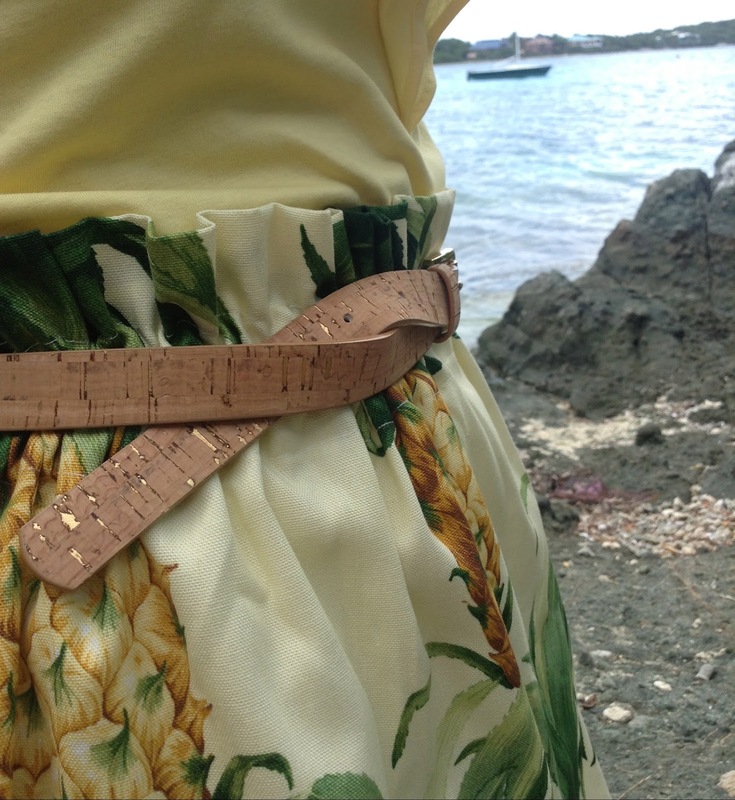 I saw the skirt and then the price, which was not so inviting. Preppy Pink Shop (my favorite Etsy shop), not only has a pineapple skirt that is 10x cuter, but the price is also fabulous. 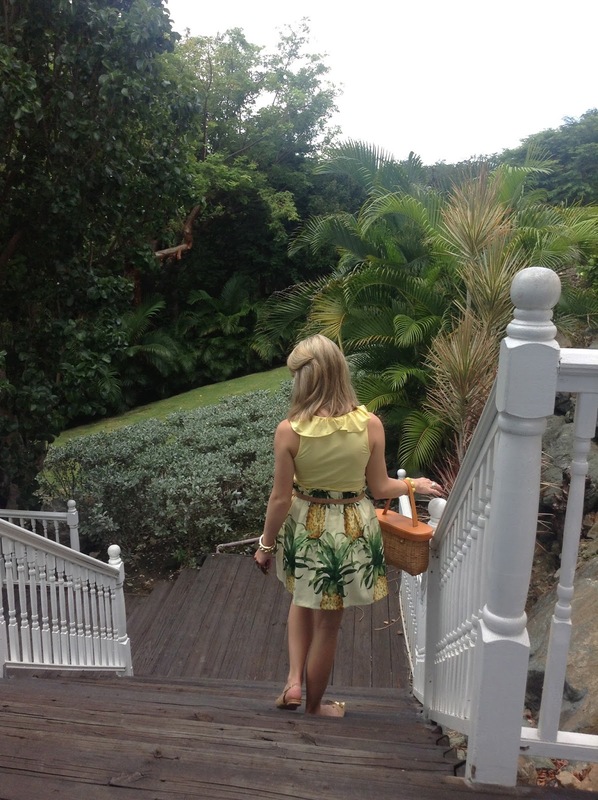 I was so happy to be able to take it along with me to St. Thomas, as it made the perfect outfit for this tropical climate down here. I will enjoy it thoroughly. There will be more to come on St. Thomas and Preppy Pink Shop! This is so cute. I will definitely be checking out that Etsy shop. love these colors on you and the skirt is fabulous!! 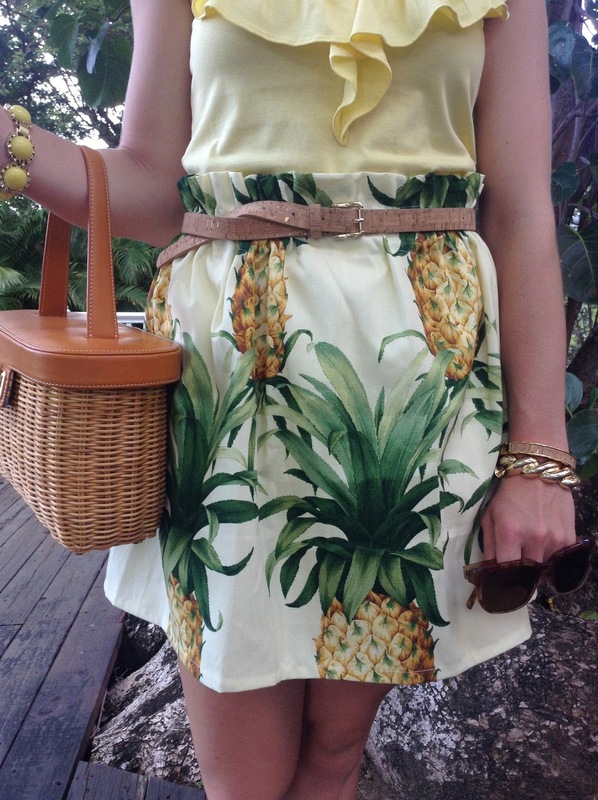 That pineapple skirt is to die for! I love the way you paired it. 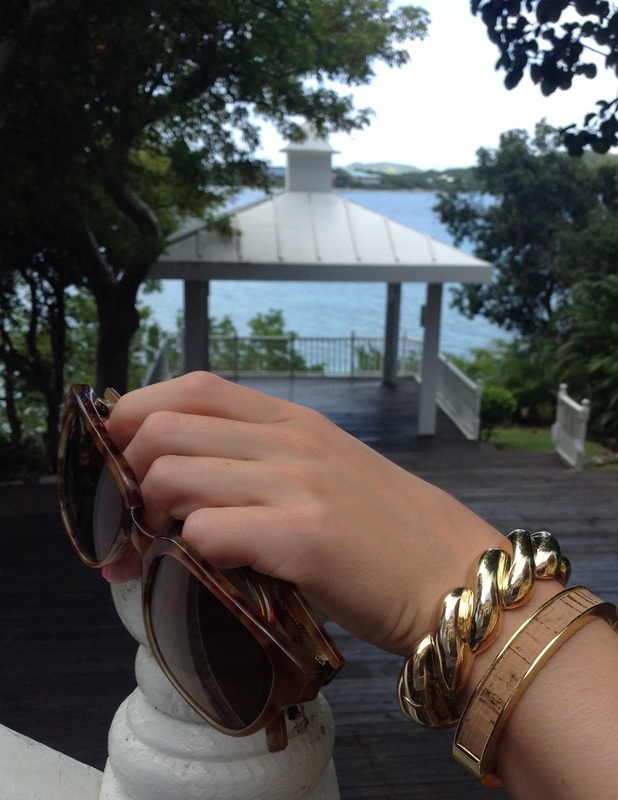 Hope you are enjoying St. Thomas! You look so cute in these pics, the skirt is lovely. What a beautiful blog with so many gorgeous photos. Your outfits are so pretty! Would you like to check out my blog and if you like it maybe follow eachother? Let me know and I will follow back. The entire outfit is just precious Rachel!